If you have failed miserably to drive customers to your dog boarding magnets, then try employing these customized 3x4 inch round corner dog boarding magnets – 20 MIL. With this magnet you not only get a large space for imprinting your business messages, but also brilliant full color printing, high quality magnetic finish, freebies such as free art set up, free shipping and free online design proof and attractive price benefits, too. 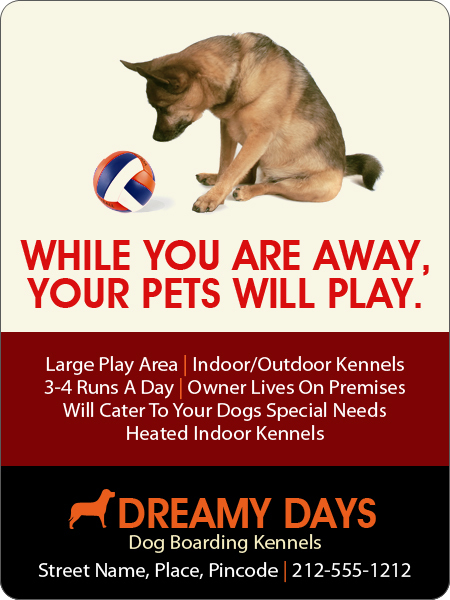 You can hand out these magnets to customers who step into your dog boarding service with their 4-legged friends or you can hand it out during pet shows or mail it to your regular customers. Request a quote to know discounts that you can avail on bulk orders of these promotional 3x4 inch round corner dog boarding magnets – 20 MIL.